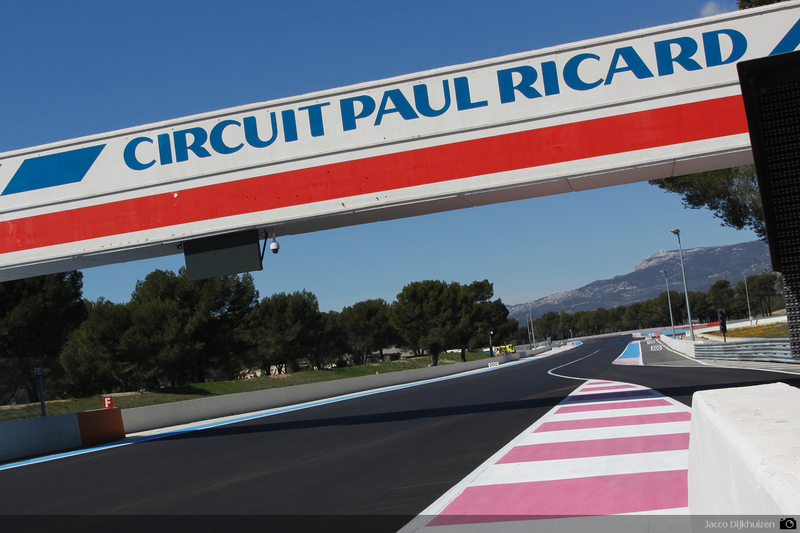 Paul Ricard – A great result ! Top marks to all concerned; we come away equal third in the championship and in the lead in the Superbike category! The race was held in cold dry conditions with track temperatures around 9 deg. C ! In qualifying Team Force had dominated with Greg Fastre and Stephane Mertens setting fastest times in the daylight and the dark qualifying sessions. Our aggregated time (with three riders) had placed us sixth. Qualifying was eventful – with a pitiful amount of track time devoted to endurance, every minute would count. For us, a troublesome gearbox required us to abandon the race engine and insert a mildly tuned engine originally built for the UK club race scene. However, despite being down on power it proved easy to use and returned the reliability that was just what the doctor ordered. We sincerely hope that the Donington Park organisers give us sufficient practice over the May weekend. The race commenced at 8.00 PM, in pitch darkness, a first for the Phase One Team, but it went without incident. Team returnee Graeme Gowland completed a fine 65 minute session (now no 45min max stint rule) to hand over, in second position behind Force, to Peter Linden. After another 35 minutes Peter inherited the lead when Stephane Mertens crashed the Team Force bike heavily into a barrier at the end of the Mistral. He was uninjured. The bike was not so lucky. After a further 30 minutes Peter handed the bike to Hugh Brasher, still leading, now by some 20 seconds, from Roadrunner, Haquin and Taurus. The EELC organisers have adopted the widely despised mid race distance points award system – one that, in this case, awards points to the top ten at the two hour mark. 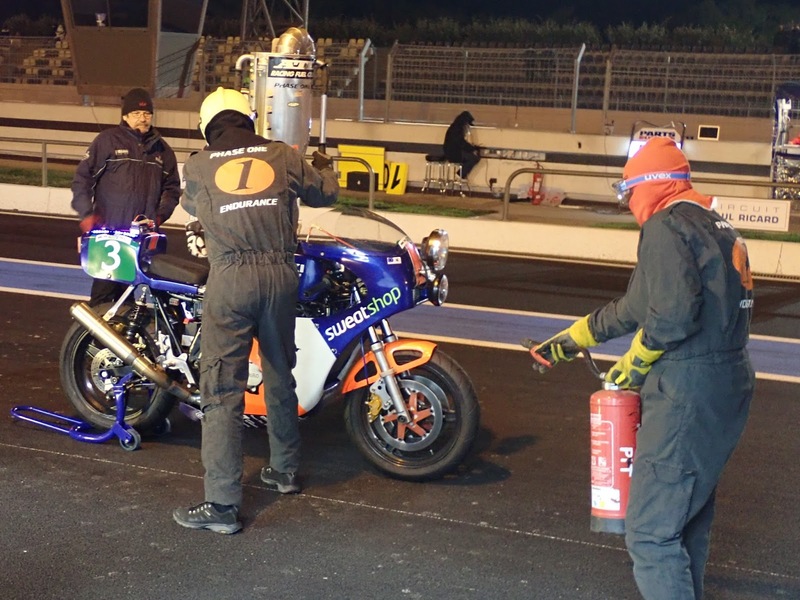 Rewarding fast (works) but possibly unreliable bikes was never part of what endurance was about. The clue is in the name; endurance.! Anyway, we scooped 10 points there, for leading at mid race.! So back to the race, after Hugh’ stint we were 4th, but it was still all oh so close, each pitstop would drop you 3 places! Graeme returned another fine 18 lap stint to hoist the team back to third and set us up for Peter to challenge for the finish rostrum, however, we all knew it would be a very big ask. In order to optimise the rider times (max 120 mins, min for third man 40 mins) we had planned our compulsory 5th stop (another wacky rule by the organisers to penalise the Guzzi and Ducati entries) very late in the proceedings – so late in fact that it was almost impossible for Peter to catch third place by the line. We failed by 1 second and finished 4th. In doing so Peter set the fastest finishers race lap time of 2;22.9 secs. Not bad for an old boy ! The top six finishers were all on the same lap. Because of the mid-race award, the team are now equal third going into Donington Park. 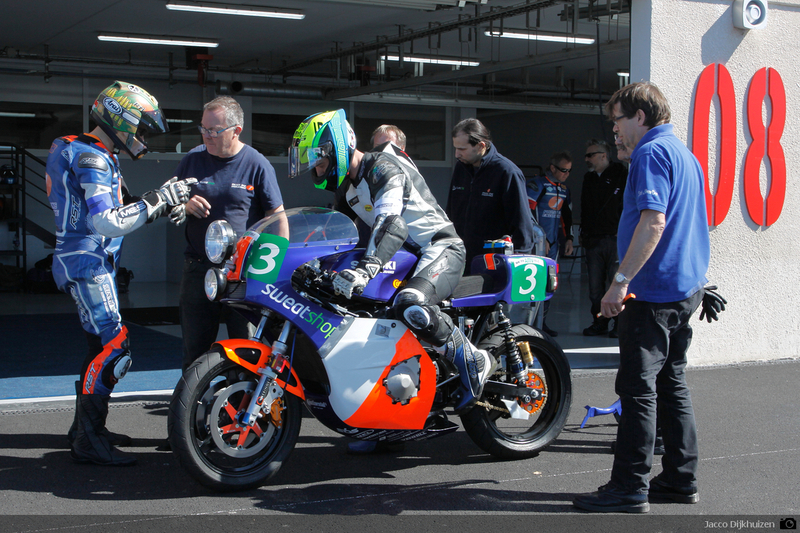 Congratulations on superb performances from Roadrunners Suzuki, Moto Bel and Godier Genouud. What a great race. Our thanks go to our sponsors and team members for a superb job. See you all on 12th May for round two. Previous Previous post: Off we go to Paul Ricard !